I'm glad that we only have one more year of this fascination with dates and numbers. Up until 2001, we only ever freaked out about Friday the 13th. Since then 1/1/01, 2/2/02,3/3/03, 4/4/04,5/5/05,6/6/06, 7/7/07,8/8/08, 9/9/09, 10/10/10 and this year 11/11/11 have all lead to frenzy. 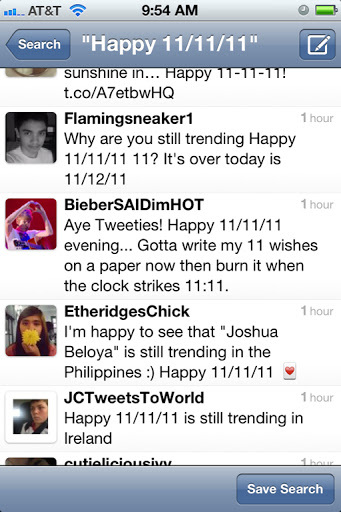 This year the number frenzy happened to fall on Veterans day and out trend it on Twitter. Shame. 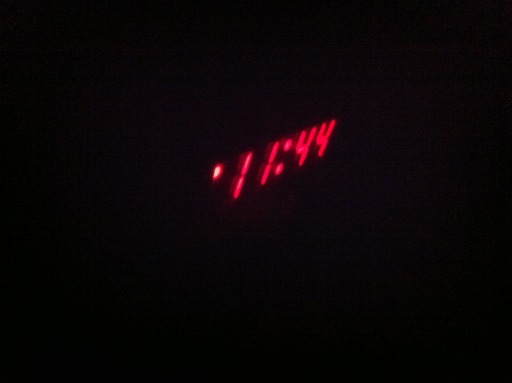 People making a big deal out of it being 11/11/11 at 11:11.11sec. People having babies... Getting married... Buying lotto tickets,... Playing bingo ( yup couldn't barely find a parking space before church.)... Craziness. So, at least there's only one more frenzy year to worry about, 12/12/12. It makes me wonder how the next generation or the generations to come will hand this frenzy on January 1, 3001. I think just gives us something else to talk about besides Presidential candidates, national debt, and child predators. Here's I've websites explanation of it all.